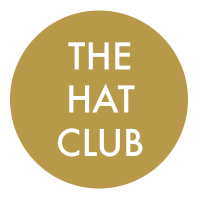 The Hat Club is an amalgamation of the prestigious Newmarket Hat Hire, which has been in operation since 1994, along with the more recently established The Hat Club which was based in London. Whilst we have decided to operate as The Hat Club, our showroom will continue to be based at the Newmarket Hat Hire premises in Fordham, near Newmarket. We will also continue to work with the existing established milliners of Newmarket Hat Hire such as Frances Heeley, Gemma J, Gill Tate, Marzi, and Vivien Sheriff. Other milliners include: Alison Roe, Bundle MacLaren, Cara Meehan, CC Millinery, Edel Ramberg, Gina Foster, Jane Taylor, Juliette Botterill, Justine Bradley-Hill, Laragh de Burgh, Laura Apsit Livens, Laura Cathcart, Philip Treacy, Rachel Black and Rosie Olivia. Our collection now boasts over 1,000 fabulous hats. Anywhere you might like to wear a beautiful, designer hat. We hope to maintain the friendly relaxed atmosphere in the showroom at Fordham and are not just a hat hire shop, but a complete service. Our aim is to make sure that all of our customers choose the right hat and above all, enjoy wearing it. Hiring exquisite millinery means that you can enjoy wearing top couture headpieces at a fraction of the purchase price. Customers are encouraged to bring along their outfit when visiting the showroom to enable us to determine the colour, shape and overall look. With plenty of private parking, choosing a hat can be both easy and fun. You can also hire our hats directly through our website and we will courier them to you anywhere in the UK. Newmarket Hat Hire has previously featured in Harpers & Queen on their recommended ‘A list’ of milliners, and also on BBC and ITV Regional programmes, in the national press and Hello magazine. We look forward to welcoming you to our showroom either in person or online very soon.